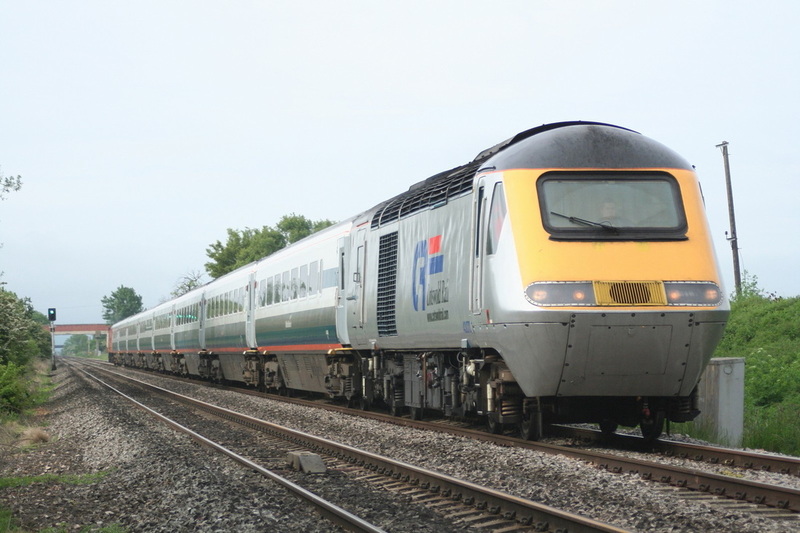 On the 27th May 2006, Cotswold Rail liveried 43070 leads a Midland Mainline rake and Hornby liveried 43087 on a Cam and Dursley to Scarborough excursion at Ashchurch. 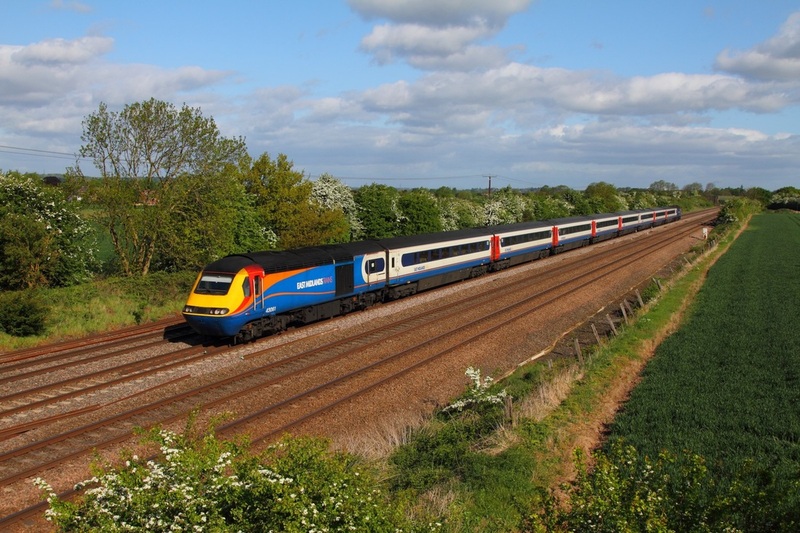 43054 tnt 43082 on the 1D57 1715 St Pancras to Nottingham at Normanton on Soar on the 11th May 2015. 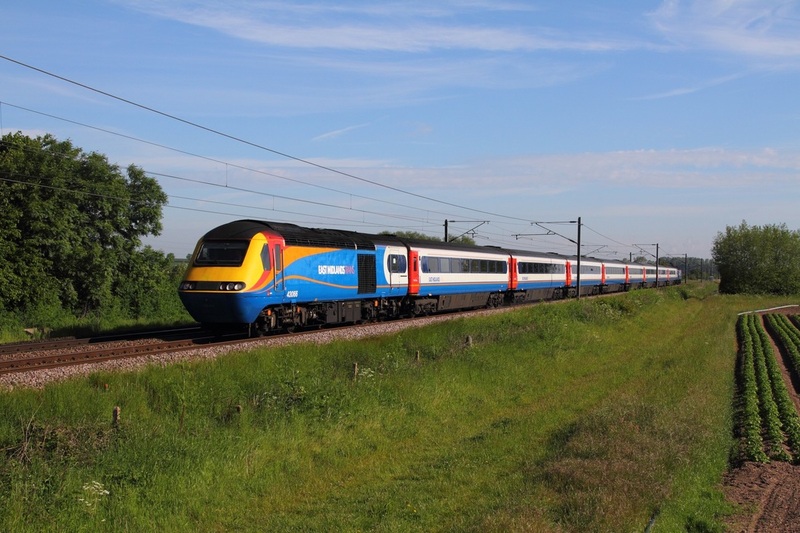 43061+43052 on the 1B23 0634 Leeds to St Pancras at Cossington on the 16th May 2015. 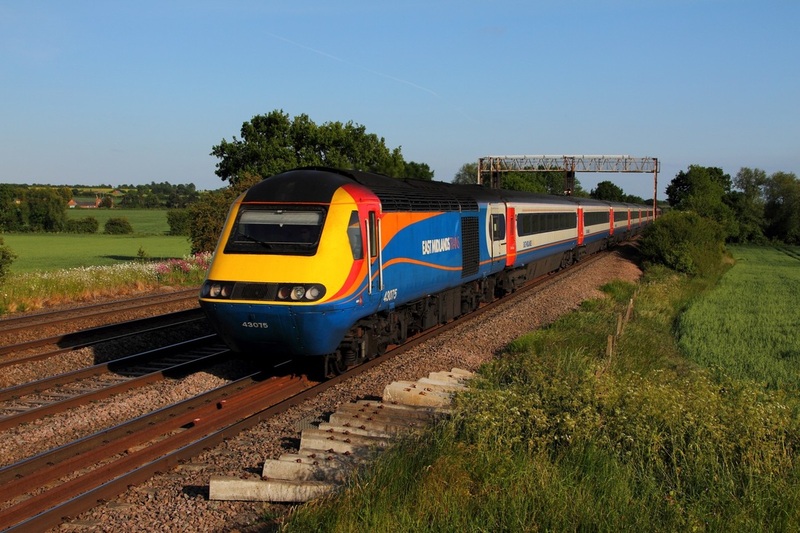 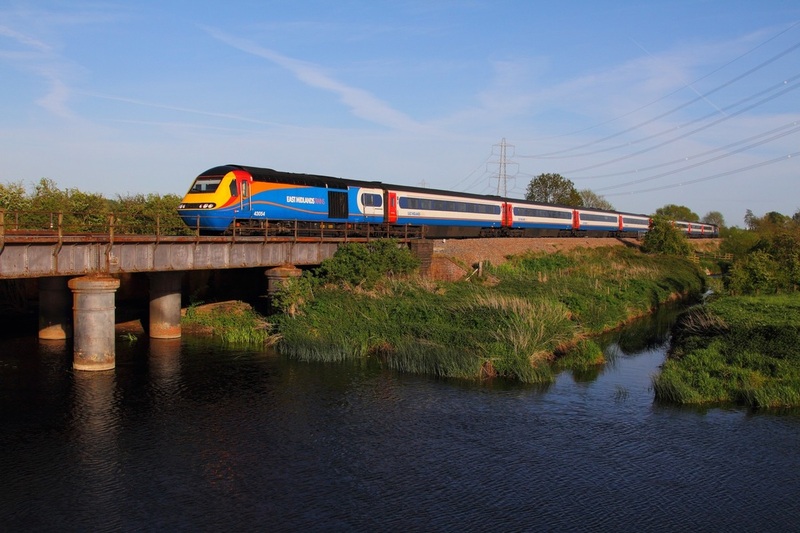 43075 tnt 43050 on the 1D57 1715 St Pancras to Nottingham at Cossington on the 10th June 2015.